Well, it's not Christmas yet obviously, but the countdown has begun, and in 110 sleeps time, that special day will be here!!!!. 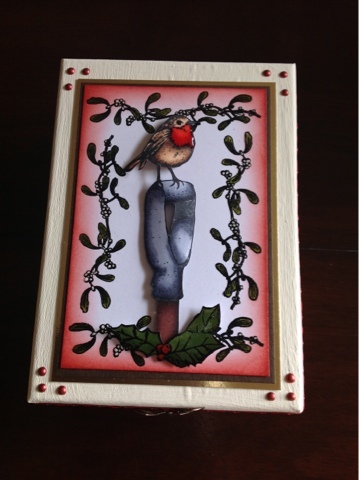 To just try and get you in the mood for making some cards, even though summer has only just finished, Sheena will be back on Create and Craft on Monday, sharing some Christmas ideas with you. Please tune in at 9am, and 3pm to see her fantastic demos. Here is my first sneak peak for you. I think this would make a great present. 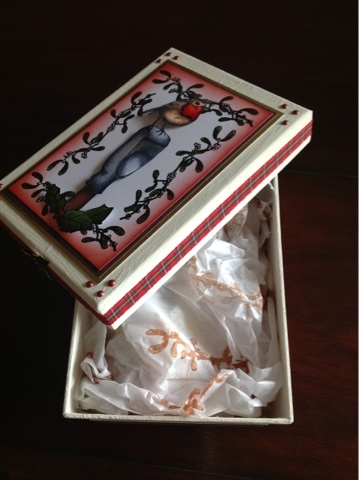 The box is made using Christmas Visitors and Mistletoe, from the Little Bit Festive stamp range. The main image of the robin on the box lid was coloured using Copics, and then cut out. Mistletoe was stamped around the edge of Neenah card, coloured with Copics and then distressed with Fired Brick. The robin was glued using Collal. The holly at the bottom of the image was glued on and after matting and layering then glossy accents was applied to the holly and the robins red breast. 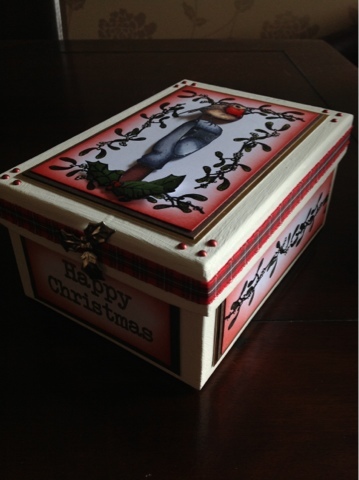 Ribbon was attached to the sides of the lid, and an embellishment applied over the join. 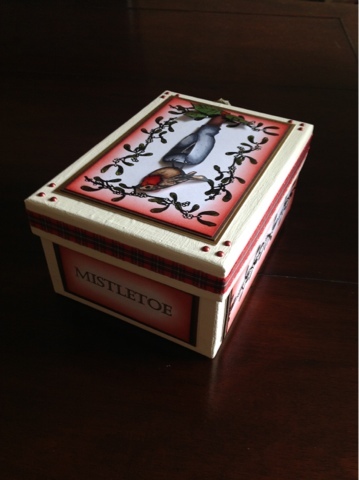 Again mistletoe was stamped and coloured on the sides of the box and sentiments too, and matted and layered as the lid was. 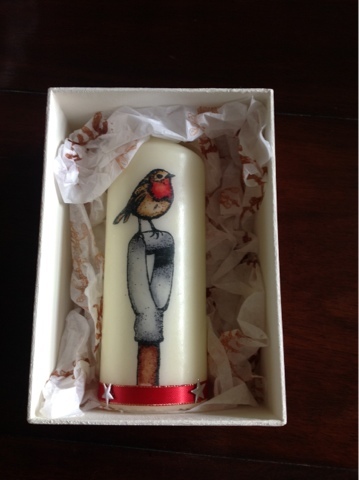 The mistletoe image was stamped onto tissue paper, which covered the candle I made, using the same image as the box. This was again coloured with Copics and heated onto the candle. A ribbon and embellishments were attached to the bottom. I hope you all like this, and keep an eye out for some more sneak peaks. wow what a beautiful box and candle.